If you long for razor sharp cheekbones but yours are a bit on the blunt side, Kevyn Aucoin’s The Sculpting Powder is all you need to fake a Kate Moss worthy pair. With a unique combination of pigments, this matte powder creates the illusion of shadows without looking chalky (or orange!). Just choose from three shades; Light, Medium or Deep depending on your skin tone (and the preferred intensity of the effect). The Sculpting Powder is designed to sculpt and chisel your features without the ‘obviously orange’ tones of bronzing powders. The three grey-toned shades are just right for accentuating natural shadows – and there's no tell-tale shimmer so the definition looks believable. The finely-milled texture is great for undetectable application every time, and it is virtually impossible to overdo it (one of the main struggles when it comes to contouring), making this ideal for defining cheekbones, jaw bones or anywhere you feel needs streamlining. ALWAYS apply this with good lighting - natural light is ideal. Apply lightly with an angled sculpting/contour brush wherever natural shadows would occur - cheekbones, jaw bone and nose (if you squint slightly so your vision is blurred when you look in the mirror, this will help you to identify the shadows better). Use a complementary highlighter where light would strike to help intensify the sculpted look. Talc, Polyethylene, Nylon-12, PTFE, Phenyl Trimethicone, Methylparaben, Propylparaben. May Contain: Iron Oxides (CI 77491, CI77492, CI77499), Manganese Violet (CI 77742). I believe they changed the formula countless times over the years but the one I received last month had white specks in the pan. The one I had did last me years but the new one doesn't look anything like the older version. Покупала в оттенке Ligh, для светлой кожи идеально. Но для такой маленькой упаковки цена высока. **** Bought in the shade of Light, perfect for fair skin. But for such a small package the price is high. Awesome Sculpting Powder, especially for sculpting beginners. My skin is very fair and the light shade is almost perfect for everyday. It has a good texture, is bendable and cool toned. I purchased this in light as I have very fair skin, the powder texture, and compact design is beautiful but on my neutral leaning yellow skin tone, this almost looks like a blush/bronzer. I’ve purchased in medium, hoping for a better result. I bought this on a whim, it had a lot of hype on various platforms so I decided to try it. I’m glad I did! I now have both the light and the medium, don’t be fooled by the colour compared to other contour palettes - it may look light but it works. It’s a really natural contour and will work at any age. As others have said, it’s small - but it lasts for ages. I've got this in Light, and it's wonderful. Just right for creating a bit of shadow underneath the cheekbones and jaw. It applies like a dream and once on it lasts all day. The four stars instead of five are because the packaging does tend to come open of its own accord in your make-up bag. I caught it in time, and so the product didn't get trashed, but I can see how it would be very easy to lose the lot if you're not careful. Bottom line - amazing contour powder, just not terribly portable. Finally, a contour for me! I have very fair skin (finally found my perfect match with Fenty Beauty Shade 100). I could never wear contours. They just looked really unnatural or muddy. I LOVE this powder in light. Applied with a fluffy brush, it gives just the subtlest hint of color, which can be built up for a more dramatic look. With a stiffer contour brush, it shows up super pigmented. 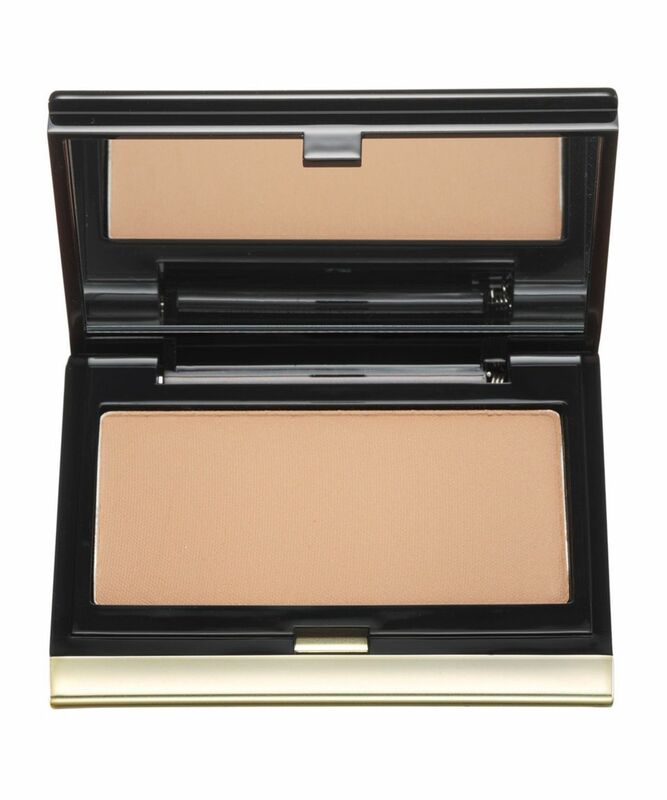 This is an amazing, versatile powder and is the perfect cool-tone contour for me! This creates the best sculpting effect, you cant go wrong as it is so blendable and doesn't become patchy if you build it up, like some other contour powders tend to do. I wanted a subtle shade to contour so I purchased the shade deep (I'm a nc 40/42 for reference), and I was a little bit worried when I saw the colour when the product arrived, but it blends out very well and is very subtle. The fact that is more grey than normal bronzers I believe is what makes it look more subtle and not "muddy". Would definitely repurchase. I'm light in skin and can get away with both light and medium. These are so blendable and fool proof, highly recommend! Purchased in the shade 'Light' as wanted something subtle. It seems too lean a bit more grey than the swatches of medium shade but I blend it into my bronzer to compensate for that. Ultra pigmented so needs a light hand but blends out like a dream. Very believable color - not orange and still not too brown. Medium shade works wonderfully when I have a tan but on my winter ivory skin I have to be super careful or it will look clown-ish. The package is small but will last ages since you need so little product to get the job done. Love! This is really, the only contouring powder you need. Contouring is not for when you are in a rush, but when you blend this into your skin correctly it is heaven ! This is very powdery, so if you tend to throw your makeup products around, keep the pouch it comes with. This is the first Kevyn Aucoin product I have ever purchased and I can safely say that it definitely will not be my last. I purchased shade deep as I have a tanned complexion. It is highly pigmented and has a lovely cool grey tone to the brown that makes it look so much more natural than other contour powders. This is a must ladies. It will change your make up for the better. This is my favourite contouring product! It blends perfectly, looks very natural and stays on throughout the day. Well worth the price, as it lasts for ever. Just a heads up, it's very pigmented, so you'll need a light hand. This surely is the best sculpting powder I've tried (and I've tried a lot of them). Highly blend-able, perfect shade for my fair, neutral skin tone. Pricey but it lasts a very long time. Highly recommend! Pretty much the first sculpting powder that didn’t look muddy on fair skin! I also have the Too faced milk chocolate bronzer and some other products that were meant for light skin tones but this one is the only one that looks natural even after dipping in more than once! (Of course with a light hand :) anyways I would repurchase! A bit costly for the quantity but hey, it works! I am sure I am going to hot pan on this one! The product is simply amazing - subtle enough to be used on pale skin, but defining enough to give you cheekbones you thought you would never have. Blendable, pigmented powder, simply top-notch quality product. The packaging however could be so, so much better. I believe it used to be in a much bigger case with a space for a brush, but has been repackages to follow the size of the pan. Not sure whether the older version was more secure since I only tried the new one, but the clasp doesn't work very well and always opens on its own. Unfortunately, this caused my powder to break in pieces when there was still about half of it left. Heartbreaking! I'd love to re-purchase, but would probably wait to see if they come out with better packaging options. I read so many review from many websites and as it is quite pricey, I was a little reluctant to try it but I have to say, for me, this is everything I want in a contouring powder. I have pale skin and wanted something that was subtle, with no red/orange tones, no sparkle and that I can use as an eyeshadow too and this is exactly what I got. It has buildable colour, in ashy tones so if you build it up and use a good brush, this will accentuate yor cheekbones without trowelling on loads of make-up Kim Kardashian-style. It's expensive but lasts such a long time as you use so little, the little velvet pouch is cute and I honestly never want to be without this ever again! Buy it - you won't regret it! I was looking for a perfect product for contouring and now I have found it. The sculpting powder has the perfect colour to contour my very pale skin. This is by far my go to product for sculpting, it gives such a natural shadow effect that works so much better than using a bronzer for cheeks in my opinion. I have to agree with the other reviewer who commented on the packaging, the clasp always pops open when the product is in my makeup bag and it greats very frustrating. Other than that, incredible product that I highly recommend. It does not cake, it lasts for hours and is easy to apply. Kevyn was a genius! I find this so beautiful and easy to work with. I use light, as I have a lighter complexion, and the shade is rather cold and stunning. There are a lot of good shading-products out there, but this is the best I've used! Small, beautiful packaging. Is this the best one? It is the best contouring product from all that I have ever tried. So natural, so not reddish! I was scared about the pigmentation, but it’s wonderful! Easy to blend! A true sculpting, not bronzing! If you’ll be careful and take your time to emphasize the real shadows on your face, this is it. My complexion is fair and I have tried; Burberry earthy and dark earthy, Dolce & Gabbana tan blush, mac’s shadowy powder, coffee walnut (cream) omega eyeshadow, NYX taupe blush. I must say this is not a fool-proof product, you need to apply very little and blend, then apply a bit more than blend so you shouldn’t overload the brush (this is actually the very important thing we must take into consideration when applying makeup). Its colour can’t be any more good, the best for sculpting purpose. I ordered now in the shade “light”, can’t wait to try. Being someone with a round face, it seriously lacks definition but using the sculpting powder I can create cheekbones. The fair version is brilliant for really fair skin tones and it's so easy to use and blend, I sometimes use it as a shadow. I managed to get this for around £25 in the sale just before Christmas because I've always wanted to try it but could never justify spending the money. Now that I have, if it ever runs out I'm going to have to buy it again! It's honestly the best product I've ever tried for contour. It doesn't look muddy or clings to different parts of your skin. It blends so easily and looks so natural I haven't got the palest skin but I bought 'light' and it is just so subtle and I really notice myself looking like I have cheekbones for once! I recommend it to everyone and make all my friends try it whenever we are doing our make up together. This is hands down my favorite contour powder, the best I have ever tried. I just hit pan on my first one and will soon buy another one. I use the shade light on my very fair skin and it gives the most beautiful, natural sculpted look. I use it everyday with every look. I got this product in the shade Light as Im quite fair and wanted a subtle, buildable contour. This product is just top quality, giving you the best contour effect. Not too ashy, blends like a dream, never patchy or uneven. My go to contour. Worth the price as truly exquisite product. I love Kevyn Aucoin make-up and this is one of my favourite products by him. This sculpting powder is so finely milled, highly pigmented and blends like a dream. You only need a small amount of product, as it has amazing colour pay-off. It sculpts the face and defines the cheekbones perfectly. I don't think I can ever go back to another contour powder. The pan/amount may be small, but it's so worth the money. And a little goes a long way. If you are undecided about it, give it a chance. It's amazing! I own Medium colour and I have a light complexion, but with this powder I can sculpt my cheeks in a natural way. I prefer the ABH's sculpting palette because there are six powder with different shades and texture to sculpt, to bronze and to highlight at the same time. The best contouring powder ever! Such a good product - I am fair and shade medium works perfectly. Easy to blend and not too grey that you look dirty...you won't need any other contour. Honestly, I don't think I am ever going to use or find a better sculpting powder than this. I cannot recommend this enough, and even though the packaging is small compared to the price, you do not need to use much to achieve the perfect cheekbone. As powder contours go, this has got to be by far the best! It's very easy to build up so can be as subtle or dramatic as you like! Has a nice shadowy appearance rather than just a dark brown like many other similar products so always looks really natural. Also, I have a medium/olive skin tone and find the medium colour to be absolutely perfect! Oh this is lovely. I wouldn't usually spend this much on a contouring powder, but I love the Candlelight highlighter so much that I thought I'd give it a go. I'm glad I did! It's gorgeous and looks so natural. Don't let the soft colour fool you though, it's highly pigmented, so apply with a light hand. 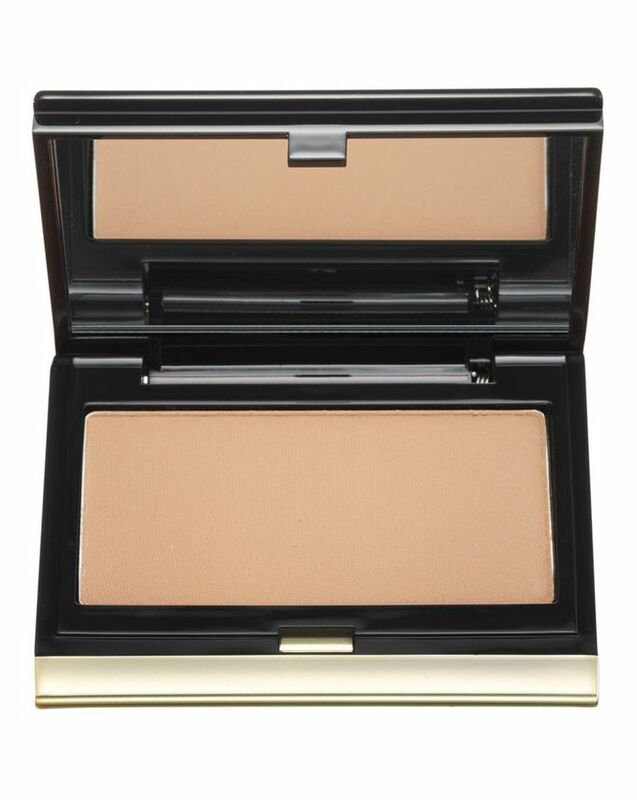 Gentle shade for a light and natural contour. I would definitely purchase again this product!! It’shade pairs with every skin type!! Its colour has a cold brown shade which is more preferable than terra-cotta orange shade!!! I love this. I am very fortunate in having high and pronounced cheekbones but this powder just nudges them over, removes the sharp and slightly undernourished look and leaves one with naturally stunning, and somewhat imperious, cheekbones and jawline; not to mention making one's clavicles look as though some lucky man could lap champagne from them. This is the embodiment of facial 'haughty' couture. Oh, yes. Buy it. You won't be disappointed. I love this product so much that I recommended to my Mum whose face is round, she loved it as it helps her sculpt her face and hide her double chin by creating a shadow-effect. She even asked for a backup! Am on my 3rd palette now, (however the 2nd one was wasted as the clip came open in my bag and the powder block split and crumbled everyone so agree the packaging isn't great). However, I have never found a better contour for my pale skin. It looks dark but it's a perfect shadow colour - natural, no orange, very cool undertones, but please the packaging needs upgrading! Cheekbones in a small eyeshadow sized pallette. This is my holy grail and I would be lost without it!!! This was my first purchase from this website, and I'm happy to say that I was not disappointed. I have extremely pale skin so I was concerned that this powder would be too muddy and dark for me, but I love it as a contour and eyeshadow. It really does create shadows on your face, it is not a bronzer. The product is a little small, but I doubt I'll go through this that quickly anyway. This is a fantastic sculpting powder, the colour is perfect and it blends really well. I am very fair skinned but it looks perfect with just a little blending. Five stars for the product, but one star for the packaging. It feels really cheap, like it was an afterthought in the whole process. The clasp doesn't work well when you press it, it doesn't pop open, you have to fiddle with it to actually open it. The applicator I received was a little thin brush, not the sponge in the picture. The brush works fine, but doesn't fit well in the space provided. And when you close it, the click sounds cheap! I may be being a little pedantic, but using such a great product every day with such unfitting packaging is just annoying.